Only loosely tethered to shore but never ready to set sail, Col, Baxter and Jackie are live-aboards in a Fremantle marina. Jackie occupies the old sloop Mercy, Col calls the sleek ocean-going yacht Goodness his home, and Baxter is sandwiched between the two in a run-down sailboat called Shirley. Living so close to each other, there is not much privacy, and the three of them have settled into a routine of verbal stoushing from boat to boat, without their banter ever being more than superficial. It’s Australia Day. The harbour and the city are awash with patriotism and alcohol. As the celebrations begin and boats head up the river to watch the fireworks, Col, Jackie and Baxter just want to be left in peace. But then Dee, a nineteen-year-old English backpacker, lands on their doorstep a bit worse for wear. With Dee suddenly amongst them, a stranger from another life and another generation, the peace between them unravels and their lives of sanctuary are threatened. Somehow their meticulous discretion is undermined and they peck and prod each other until glimpses of their pasts, the lives they are scrupulously hiding, are revealed. 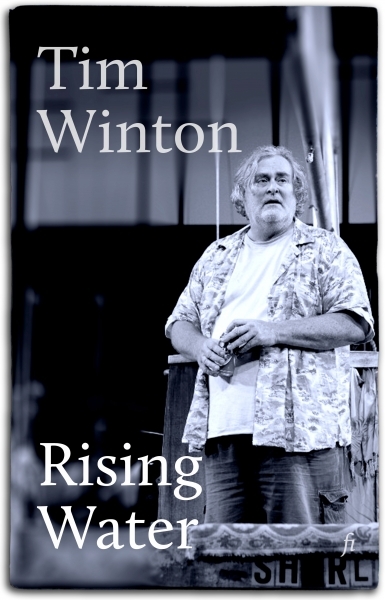 Tim Winton's first play has all the hallmarks of his novels. Poetic and vernacular, salty and elevated, with voices that ring in the ears, this is a breath of fresh air and a must-read for any fan.